Born in 1835 in Florence, Missouri, the beloved American author, Mark Twain has been beautifully captured in solid maple wood. 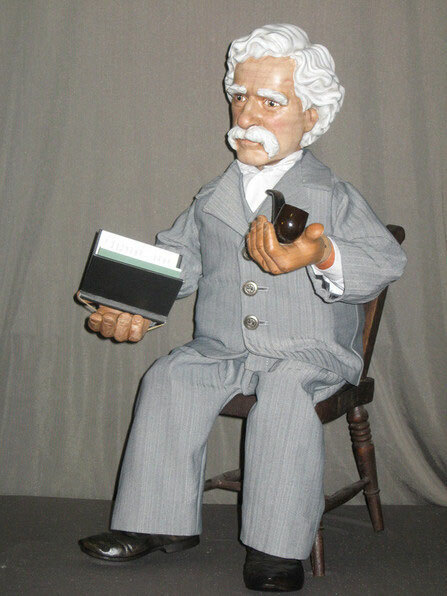 Standing 24″ tall with 13 moveable ball and spring joints and hand painted face, hair, hands & shoes. 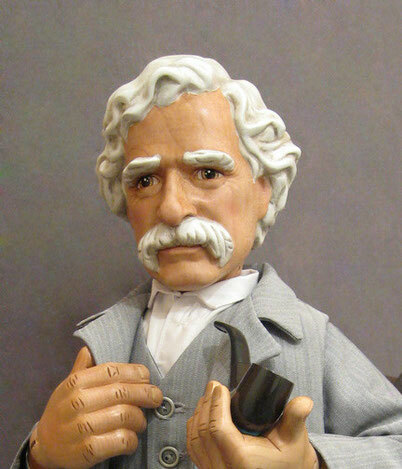 His light grey suit is complete with trousers, vest and jacket made from light wool lined with silk, Mark Twain would not be complete without his “Pipe” which he was very seldom without.